Keeping up with the latest gun laws of your state has become more important than ever in making sure you are on the right side of the law when it comes to owning and using your firearms. While Nebraska is relatively gun-friendly, there are a few laws to watch out for when it comes to handguns. In this guide, we’ll go over everything you need to know on how to buy a gun, and where and when you can use it! 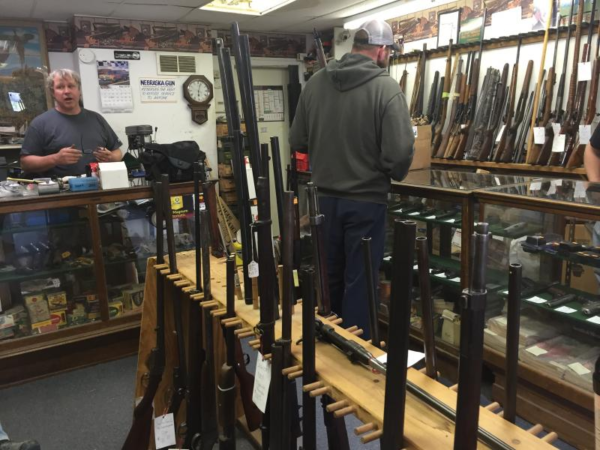 In Nebraska, the firearms purchasing experience can be straightforward and simple, or relatively annoying, depending on the type of gun you are buying. There are different sets of rules for buying handguns compared to long guns, and even within the category of handguns, there are different rules as well. In most cases, buying or transferring a handgun in Nebraska requires the person receiving the handgun to have a handgun certificate (sometimes called a handgun purchase certificate). Before we get into the steps for getting the certificate, you will want to check if you fall into one of the categories for exceptions, which do not require a handgun purchase certificate at all. Have a concealed carry permit. If those are the only situations where you will be receiving a handgun, either as a transfer or as a purchase, then you do not need to worry about getting handgun certificate at all. While the last three categories should be pretty clear for not needing a handgun certificate, you will want to make sure when buying an antique handgun, that the handgun actually qualifies as an antique. Just because the seller on Craigslist said he’s had the 1911 since WWII doesn’t mean it is an antique handgun. Any replica of such a handgun, if the replica is not designed or redesigned to use rimfire or conventional centerfire fixed ammunition, or else uses rimfire or conventional centerfire fixed ammunition which is no longer manufactured in the US or readily available through normal commercial purchases. Got all that? You’ll want to make sure all of the requirements are met, otherwise the gun will have to be treated just like any other handgun, and require a handgun certificate for the purchase or transfer. Once you’ve come to the unfortunate conclusion that you need to get a handgun certificate, you’ll have to go to your local sheriff or police chief’s office to apply. Be a resident of Nebraska. Aside from those basic requirements, the application will require a filing fee, proof of residency, and a background check. These are the same prohibitions that would prevent you from being able to purchase firearms in general, so it makes sense that if you fall into any of these categories, you would be denied a handgun certificate. If you are denied the certificate, you will receive a letter telling you why you were denied, and you can fix the problem with the sheriff’s office and try again. Hopefully though, none of those situations apply to you, and if you filled out everything correctly, you will receive a handgun certificate in 2 days. The certificate is good for 3 years, and you can buy as many guns as you can afford with it. Go nuts! Once you’ve got the certificate, you can finally go to your local gun store to buy a handgun! Have an instant background check performed by a licensed firearms dealer. Compared the hassle of getting the certificate, the actual process of buying a handgun seems like nothing! To save even more time, if you purchase a handgun through a private sale, a background check is not required. Of course, you’ll still need to provide handgun certificate and your ID to the seller so they can be sure you are allowed to buy the gun from them, but at least you’ll save some time and money by skipping that background check. Compared to the process of buying handguns, buying long guns is much simpler. There is no certificate or permit required to purchase a long gun. That doesn’t mean you can just walk into a gun store and take one off the shelf though. Just like with handguns, if you decide to buy your firearm through a private seller, a background check is not required. And also, if you are prohibited from getting a handgun certificate, you would be prohibited from buying a long gun as well, since those are the same rules for firearms in general. For those of you paying close attention, you’ll notice that long guns require you to be 18 or older, and handguns require you to be 21 or older, in order to buy or even own them. Luckily, there are some exceptions to those rules to allow you to use a firearm if you don’t meet the age requirements. If you are under direct adult supervision in an educational program (firearms safety course, etc.). While this still doesn’t let you use or own a handgun, at least you’ll be able to start practicing the basics of firearms safety with that rifle in the meantime! Once you’ve got your guns, you’ll need to be careful where and how you carry them! Nebraska allows for open carry of firearms, including both handguns and long guns. It is important to keep in mind, however, some places, including Omaha, only allow open carry with a permit. When you are open carrying, you will also want to keep in mind where and how you are carrying. If you are the only person open carrying, you may be drawing unwanted attention to yourself. And not all places allow firearm carry at all. For example, if you are going to a school or a school-sponsored athletic event, you will also need to leave your gun at home, since those places are off limits to firearms. Concealed carry is also allowed in the state, but requires a CCW permit. Anyone interested in the process for getting a CCW permit should check out our Nebraska CCW section to find out all the steps to getting a permit, and the laws you’ll need to pay attention to on concealed carry in the state. Taking your guns for a ride along is perfectly fine, as long as you follow the rules for carrying in other situations. Just like when you are carrying outside your car, open carry while in the car is permitted. You’ll need to be careful though, because the firearm must be clearly visible, or it will be considered concealed carry, which requires a CCW permit. If you want to keep your gun out of sight while in the car but haven’t gotten around to getting that CCW permit yet, you will need to have it unloaded, in a case, and inaccessible from all passengers in the vehicle. There are also a few specific rules for transporting shotguns while in a car. Even if you are open carrying your shotgun in the car, it cannot be loaded, meaning no shells can be in the chamber, receiver, or even magazine of the shotgun – at which point it’s probably best to just keep it unloaded and safely locked away in a case or safe rather than sitting next to you unloaded and pretty much useless. For those of you interested in doing some hunting, Nebraska requires anyone between 12 and 29, who wants to hunt with a firearm, or even an airgun, to take a firearm hunter education course established by the Game and Parks Commission in order to get a certificate. You want to make sure the course you take is officially recognized by the Game and Parks Commission, and provides instruction in safe firearm handling, shooting and sighting techniques, hunter ethics, game identification, and conservation management. Once that’s done you can get out there and have some fun! 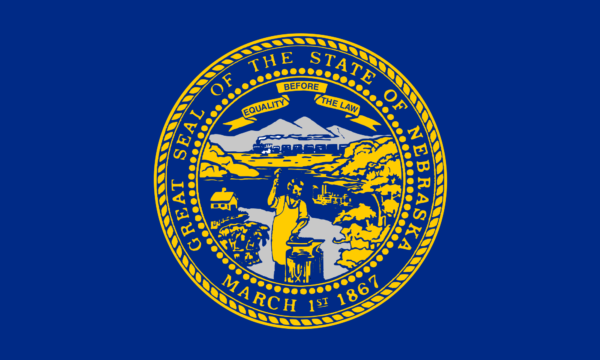 There are also a few unusual laws regarding hunting that are pretty unique to the Cornhusker State. It is illegal to hunt from a vehicle unless you are disabled and have a permit. No drive-bys on those deer you saw while passing by. Sorry. 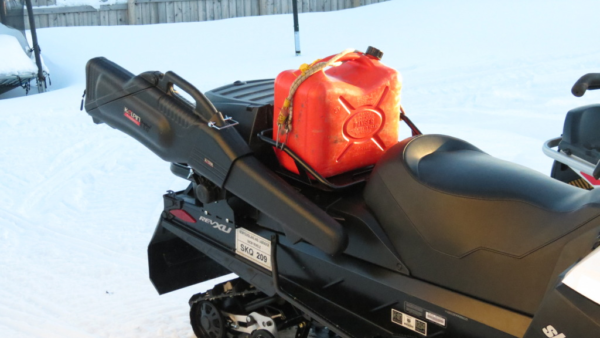 It is also illegal to hunt from or with a snowmobile, or carry a long gun on the snowmobile unless it is unloaded and enclosed in a carrying case. Not to be a downer, but the use of firearms is a serious matter, and should only be done while hunting, at the range, or in self-defense, if necessary. While the first two situations are highly encouraged, hopefully none of us will ever be in a situation where we need to use our firearms in self-defense. However, even if you never encounter a self-defense situation, it is still a good idea to be familiar with just how and when you can use your firearm. Nebraska follows what is known as the “Castle Doctrine”, which allows you to use deadly force to protect your home, or “castle”. Specifically, you are justified in using deadly force if you believe it is necessary to protect yourself or someone else against death, serious bodily harm, kidnapping, or sexual assault. While the “Castle Doctrine” is mostly used to defend yourself while in your home, there is also a similar “Stand Your Ground” law on the books that allows you to defend yourself not just in your home, but also in the office. You have no duty to retreat while in your home or workplace, and are justified in using deadly force to prevent illegally taking possessions from your home, or to prevent arson, burglary, robbery, or any other felony thefts or property destruction, when deadly force has been used or threatened and not responding with deadly force would expose anyone present to danger of seriously bodily harm. It is important to keep in mind that the “Stand Your Ground” law only applies when deadly force has already been used or threatened to be used. You cannot use deadly force just because someone has broken into your office and is trying to steal the printer. If there is any threat of deadly force, however, then you are justified in using deadly force. That’s all you need to know about the gun laws of Nebraska! Nebraska does not have any specific laws on storing firearms, but for those of you with children or who just want to keep your gun collection locked away when you’re out of the house, a strong safe or inexpensive gun cabinet will do just fine. And if you’ve only got a couple handguns, then a handgun safe may be all you need to keep your shiny toys away from the bad guys while you’re out of the house.